Dorit Rabinyan is a rising star in the literary world. Born in Israel to Iranien Jewish parents, she has three books translated into English: “Persian Brides”, “Our Weddings” (also published as “Strand of a thousand pearls”) and “All the rivers”. “Persian Brides” won the Jewish Quartely-Wingate Prize in 1999, and “All the rivers” has been an international best seller. However, “All the Rivers”, has been controversial in Israel; despite being well received and winning an award, in 2015 a scandal emerged: a committee of teachers requested the novel to be added to the recommended curriculum for Hebrew high school literature classes. Another committee in the Israeli Ministry of Education however objected to the request and declined to add it, on the grounds, according to The Economist, that it ”promotes intermarriage and assimilation”. In short, ”All the rivers” has gotten flack for portraying an interfaith and intercultural relationship. Before moving on to the review, I must tell an endearing story about when I was waiting in a post–talk line to have Ms. Rabinyan sign her novel, ”Our weddings”. Ms. Rabinyan had not quite understood that she was suppose to do signings after her talk. Her publisher went to get her for the signing, and when Ms. Rabinyan appeared and saw the line, she exclaimed happily: ”Wow, are all these people here for me? This is fantastic!”. ”All the rivers” tells the sad love story of Liat, a Persian Jewish woman from Israel who, while temporarily living in New York, meets Hilmi, a young Palestinian man. Despite Liat´s internal reluctance, the two fall in love. However the relationship is filled with conflicts and Liat, additionally in her hesitation, hides the relationship from her parents and from many of her friends. Hilmi and Liat, in the midst of their tumultuous relationship, continually revert to mammoth arguments regarding the occupation of the Palestinian territories. Regardless, as the days go by, and the relationship with Hilmi deepens, it becomes harder for Liat to stick with her original plan to merely have a frivolous adventure while on a long trip and to return to her ”normal life” once she leaves the escapade of New York. While the novels premise may sound banal and the books description would have the book sound like your average star crossed lovers story, ”All the rivers” surprises with a complex, mature and engaging story of politics and life. The novel is told from Liats point of view, and Rabinyan does not shy away from showing her heroine as deeply flawed. Liat often in fights with Hilmi exposes her insensitivity, and she often, and flippantly voices opinions she would be horrified to hear others utter. Yet, at the same time, Liat is very likeable. She is kind, self- critical and deeply cares about Hilmi, her family, and the humanity of all those around her. For those unfamiliar with Jewish culture they will certainly learn much about it through Liat´s narration. Hilmi as a character is loveable. Hilmi´s an ambitious and aspiring artist, has a deep and subtle sense of humour, and, despite a past of hardships engendered in the experiences of the Palestinian occupation forsakes bitterness for compassion and understanding. While hurt that Liat hides him from her parents, he has also remarkable patience with Liat. However he is not kind to a fault. In the two leads, Rabinyan explores a different spin on the tropes of intercultural relationships. While often in a text which wants the reader to sympathize with the protagonists, the tendency of the narrative of the two lovers would be written as free from prejudice or bias. Here though, we are exposed directly to Liat´s main flaw of her unremitting bias towards Israelis, and her admission of prejudice regarding Arabs, something she shamefully admits and tries to work on. (Note: people of Iranian descent consider themselves Persian, not Arabic). Liat is not purely a bad guy; Rabinyan shows that Liat deeply cares, supports and loves Hilmi, and listens to his stories of oppression without gaslighting him. Rabinyan’s plays in a refreshing perspective to the star-crossed lovers story showing us a human relation of real people embedded in both their prejudices and the dilemma of a loving intercultural relationship which resolves to neither the unloving or unkind. 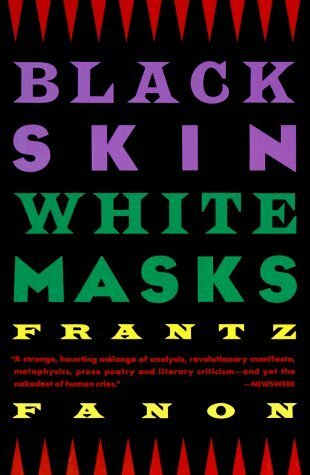 The novel paints a very morally complex and honest reality that explores the problematic nexus of privilege and biases, while showing the personal, political struggles the lovers have in recognition of their ignorances and invisible, unchecked privileges. The politics of the story are honest, and multilayered, while also being delicately critical of Israeli norms in understated ways. Hilmi´s backstory also breaks ground in how Middle Eastern characters are often depicted in both cultural representations and narrative structure. Hilmi talks about his father, who he mentions was an atheist, and while it is never stated Hilmi himself does not seem very religious. While most literature often depicts Middle Easterners as Muslim or Christian, ”All the rivers” depicts two often forgotten groups: Jewish Middle Easterners and Atheist/non-believing Middle Easterners. The political context of the novel, one which the lovers are entrenched in and struggling against, revolves ultimately around the paramount and continual system of apartheid system towards the Palestinians in Israel. Hilmi, when going to Ramallah to visit his family, describes the oppressive atmosphere of the wall and details the surprising event of his time in prison for painting as a teen (the authorities thought he had painted the Palestinian flag). The novel, despite being written by an Israeli writer, does not shy away from the less than stellar aspects of the conflict. The book is addictive, and difficult to put down. Despite being utterly depressing, ”All the rivers” also makes the unfortunately still relevant cautionary tale of not letting intolerance get in the way of the most human of things, our relationships with one another. Liat, despite knowing Hilmi is a good person, and despite acknowledging that she loves him, does not allow herself the relationship she desires due to fear of her parents disapproval. This denial leads to a heartbreaking ending where Liat is forced to face the harsh reality, of not only lost opportunities, but also of injustice as a destructive force. ”All the rivers” will surprise readers greatly, while also making them cry and rethink. Rare books do so much. ”All the rivers” is a triumph. 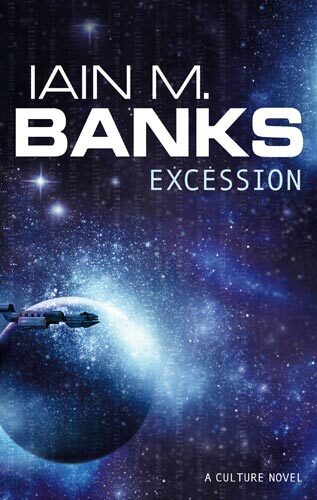 Even if love stories are not your usual cup of tea (or if you just generally don´t like star-crossed lovers stories) still this novel cannot be recommend more highly. Beautifully written, brave and filled with both overt and restrained insights, ”All the rivers” is the love story for the person wanting to understand the world just a little bit more, and think of the individual enterprise a bit more clearly. So, here´s some articles worth looking at on this subject, ending with two quotes from Jung Chang, the chinese-born writer of “Wild Swans”. Go here to watch the famous incident of the brave tankman. Sophia Richardson says: “China, the world remembers Tiananmen Square Massacfre”. Ma Jian, the chinese author of “Stick out your tongue”, writes about his personal account on the Massacre. Chinese Activist Hu Jia also recalls his personal experience at the Massacre. “The tanks and the people”, another essay from a chinese writer, Liao Yiwu. He´s in exile and currently lives in Germany. It has been 25 years, and still the slaughtered students haven´t been recognized by the chinese government nor have the massacres survivors and families gotten justice. Let´s speak up of this injustice! 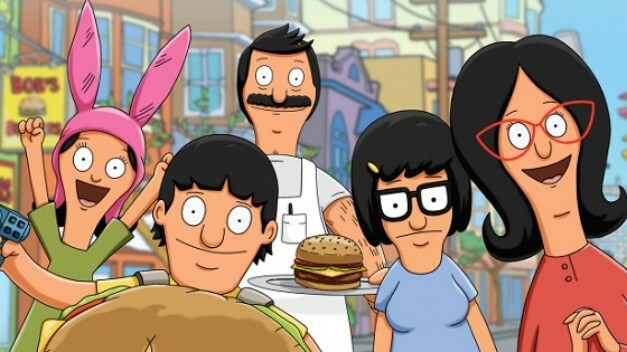 “Bob’s Burger” is an animated series created by Loren Bouchard and premiered on television in 2011. It centers on the misadventures of the Hamburger restaurant owning Bob and his family. The family consists of his wife Linda, who is perky and peculiar, and their three children: the continually exaggerating Gene, the socially awkward Tina and the sly, mischievous Louise. “Bob’s Burger” is packed with great lines and quirky dialogue, and finds its way to dealing with impressive subjects from time to time. 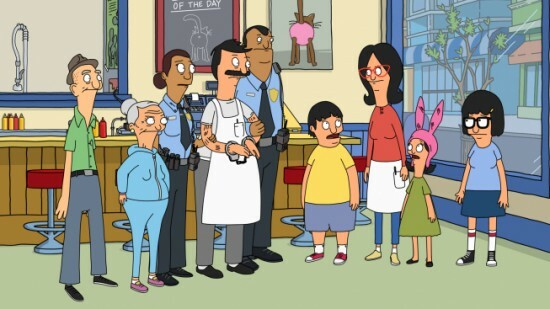 The show is also pleasant in its interesting depiction of a working-class family; “Bob’s Burger” is not a “down-to-earth” realistic but does portray the plight of this class’s persistent economic trouble, which is important and appreciable to represent. And it is firmly refreshing to see a show that is which is finally female-friendly (i.e. 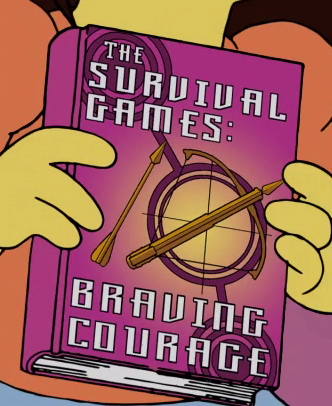 free of overly sexists jokes) in this genre (naturally excluding the “Simpsons”). 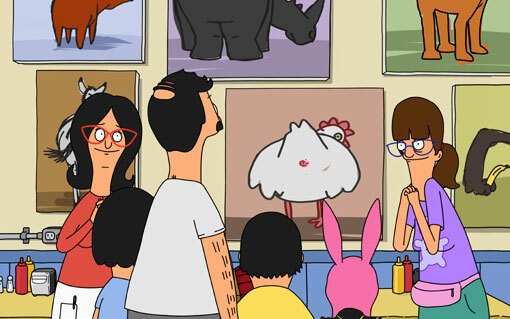 In “Bob’s Burgers” first season, the eight episode “Art Crawl” tackled the issue of censorship. More specifically the episode was about censoring art, as well as has some amusing musings about cultural assumptions about art itself. 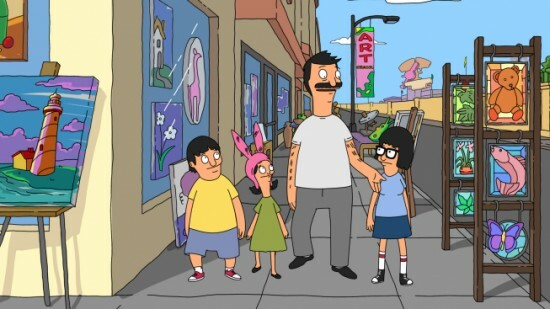 The episode begins with Bob walking around the neighborhood with his kids as they check out the neighborhoods annual street event focused on art. The event is an “Art crawl”, where people display their indolently done paintings. Bob points out quickly that he does not want the children to think that the Art crawl represents what real art is meant to be or obtain. Considering how artist and art have at times been the punching bag for mainstream comedy, it’s pleasant to have Bob make a sincere defense of art. Tina then suggests that they visit a museum to learn more about Art. This is met with strong protest from Bob and her siblings (this is met with the idea of a “art visit” is going to far). Already in the first four minutes of the episode lazy and stereotypical attitudes towards Art, especially mirrored in television culture, are confronted and parodied. Bob points out the “art festival” is a profoundly narrow idea about what Art both is and entails. 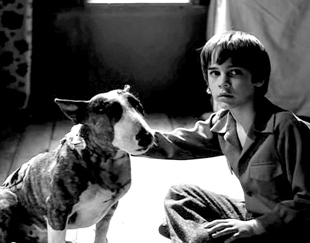 The scene defends art as a cultural form, stating that it is much better than many may believe, yet uses a singular relatable scenario as showing Bob falling into the common and routine avoidance of culture. The show also plays with the myth of the unstable and conceited artist as well. Gayle, Linda’s extremely insecure and erratic sister whose art the family is not allowed to critic, is a an embodiment of this trope (it is mentioned that she had eaten lipstick to become “red inside”). However, the idea of the unstable artist is also satirized. 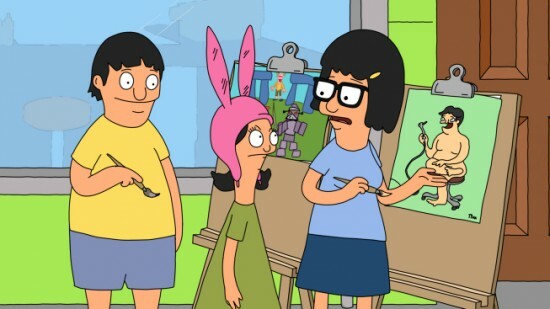 The youngest child of the family, Louise (voiced by the always awesome Kristen Schaal ) sees the potential in making money in the “Art Crawl” phenomena and tries to get her siblings Gene and Tina to make street art for her. However her siblings express themselves as “true” artists, to which Louise then decides that she must cut off her brother’s ear, in reference to a supposed action done by Van Gogh. This highlights how people focus on outsized legends and absurd stories to constantly create the odd mythical presence of the mad artist which alienates these workers in Art from the normal working class. The constant mystification art, and the creation of art, to the point that art and artists are viewed more as characters from ridiculous melodramas instead of being engaged with as serious creators of our visual culture. However the most prominent theme of the episode is censorship. Other popular cartoons have dealt with censorship before, for instance “The Simpsons” episode “Itchy and Scratchy and Marge” and the two-part “South Park” episode “Cartoon Wars” (which was later discussed again in the episodes “200” and “201”). These two previous shows dealt with censorship through fictional controversies, i.e. with the Simpsons cartoon violence and with South Park the representation of the prophet Mohammed. In both of these cases the object of controversy was not a product made by a family member. In “Bob’s Burger” this is the case. Gayle, Linda’s sister, visits the family for a while and hangs her new paintings around the walls of Bob’s restaurant in tandem with the neighborhood Art Crawl event. To Bob’s horror, Gayle has devoted all of her works to the depiction of various animal’s anuses. Bob surmises, quite correctly in fact, that the paintings will have a negative effect on the customers eating in his establishment. Bob makes the case strongly to his wife, Linda that she has to tell her sister that Gayle has to take down the paintings. When she refuses, Bob comes up with a scheme to take down the paintings without Linda noticing. He also decides to come clean with Gayle and state that he just doesn’t want the paintings hung on the walls of his restaurant. This plan quickly changes after Edith, the elderly woman who runs the “Art Crawl” event, shows up to complain about Gayle’s paintings. Bob explains that the paintings have been removed, to which Edith than replies: “Good, they were indecent” adding “I won’t allow them to be shown”. Bob becomes furious after hearing Edith state that she won’t allow people to see this art given her own interpretation of what art should be available, and therefore hangs all of the paintings back up. Bob’s actions are strikingly similar to an old saying: “I disapprove of what you say, but I will defend to the death your right to say it”, that Voltaire among others have used when defending freedom of Speech and expression. Bob absolutely hates Gayle’s paintings but will not let her work be censored by authoritarian personas. He decides to make a stand since he feels that someone has tried to rob him and others of their choice to express themselves. Edith continues to protest against the paintings while Bob tells Gayle to paint more. Bob fights back against censorship by encouraging more provocative art. So Bob takes his protest against censorship a step further – he not only will defend Gayle, but encourage her as well. Bob takes the idea of defending a person’s right to express themselves freely, but also encourage them to express themselves in a way he doesn’t like. The Episode “Art Crawl” takes an interesting turn on censorship when the family discovers one morning that the paintings have been vandalized. The animals have been given pink underwear as a cover up. Bob assumes the person responsible is Edith and heads over to her store. There he confronts Edith and vandalizes her artworks in revenge (by giving all of the paintings in her shop “anuses”), only to find out later that it was his wife Linda who vandalized the paintings, since she was so disgusted by them. 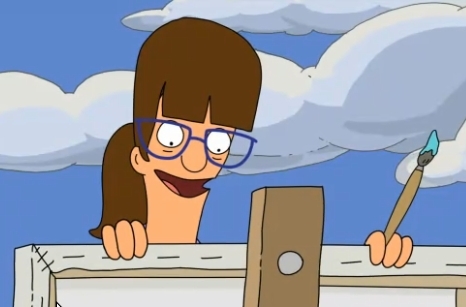 While Edith wanted to censor the paintings, Linda is the one who actually takes to vandalism to censor. The family pays Edith for the damage caused and Linda realizes that she should have perhaps just honestly told her sister her opinion of the paintings. The episode portrays the vandalism as an act of censorship, which it is. Edith praised the vandalism act but did not do it herself. Linda did because she could not express her dislike. Naturally, it is harder to critic art when someone close to you is the creator, but it is pointed out that Linda should have just voiced her opinion. Once again the importance of expressing one’s self is highlighted. 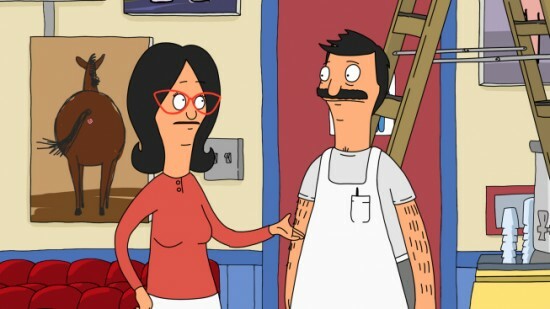 It is also stated that Bob’s anger was understandable, but his action of changing Edith’s paintings was over the top, since he also does a form of censorship by editing Edith’s paintings against her will. “Art Crawl” illustrates the measures a person will go to fight against censorship. Bob can’t stand people bossing others about their expression. It rings a truth about censorship in the real world; to defend freedom of speech, people must sometimes defend things they despises themselves. “Art Crawl” strongly defends freedom of speech, realizing that we will not always like everything culture produces, but censorship is not, nor is ever, the answer. Over at the BBC, journalist Paul Mason interviewed three contemporary Chinese writers whose works have been censured in many different ways. The authors gave thoughtful insights on Chinese politics and culture as well as their own situation as writers. I can’t feature the clip anymore on my blog, so go here to watch it. Today, as the title of this short post states, is PEN’s “Day of the imprisoned writer”. The idea of this day is to bring awareness of some authors and journalist that have been imprisoned due to the context of their essays, poems or prose. It’s also crucial to point out how much work is still unfinished in the battle against political censorship and for everyone’s right to freedom of speech and press. At PEN’s official site, they highlight some interesting journalist and authors in prison because of their work. Go here to read about them. The Atlantic wrote about how we’re less likely to recognize depression in men. A study was made about what happens when women get denied abortions. South Park recently had their 200 episode. The creators, Matt Stone and Trey Parker, had decided to celebrate by doing a two-part nostalgic episodes that used old plots and gags from previous popular episodes; they basically took elderly ingredients and baked them all together to make something new, yet familiar. The result, in my eyes, was an hour (counting both episodes) of delicious laughter for those who have been watching South Park for quite a while. 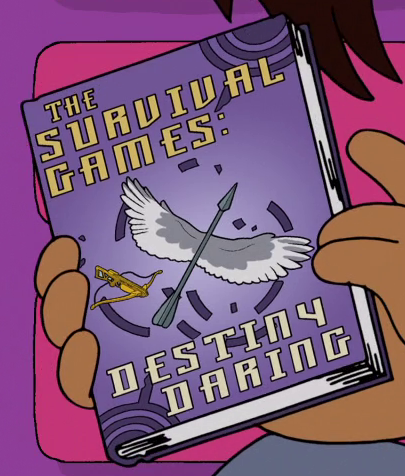 The episodes were named “200” and “201”. It was pure joy to watch these episodes and recognize the jokes and motivations. It felt like Stone and Parker where thanking us for standing by their show, making it possible to go all the way up to making 200 episodes. Even if the episodes have been a huge hit among fans, for Stone and Parker it has meant death threats. After the episode “200” was aired, thats plot implied that Mohammed was inside a bear costume, a Islamic site called revolutionmuslim.com said that South Park creators should watch out that they don’t end up like Theo Van Gogh (an artist that was killed on an open street after making the movie “Submission”, a movie critical of Islam). Stone and Parker responded courageously to the death threats, stating that they would be so hypocritical if they would have not have done the implication. They said that they can’t pick and choose to whom they make fun of and who not while thinking who will hurt them and who will not. My hat off to these men! They understand the value of freedom of speech! Unfortunately… Comedy central does not… You see, the second part of “200”, “201”, was heavily censored. Whenever Mohammed’s name was mentioned, it was beeped out. When he appeared on the show, he was blocked out by a censored black block with the text “Censored”. There was a speech at the end of the episode that got completely beeped out, which according to Parker and Stone was about intimidation and fear, and had nothing to do with Mohammed, or Islam. While watching “201” I felt a certain sorrow. Here the men are trying to say something about free speech, and they are prevented from saying it. What is interesting is that South Park doesn’t mock Mohammed at all. In the episodes, he doesn’t really do anything but exist. There is nothing to be upset about. Another thing is that by censoring Mohammed completely and by even beeping out his name makes Mohammed actually seem us something bad, obscene. Another strange thing is that before the controversy with the Danish cartoons South Park had an episode called “The Super Best Friends” in which Mohammed appeared, uncensored, and there were no problems! So why someone would get upset now, when Mohammed was shown six years ago already? South Park has had a lot of trouble before. They have been threatened and sued by fanatical religion groups before. Yet Parker and Stone stand by their morals: everything should be okay to be made fun of. Everything should be okay to write about. Clearly, the creators and writers of South Park are the satirist we all deserve and need, people that stand for an absolute right to free speech. Thank you, Trey Parker and Matt Stone, for your courageous acts. I only hope that “201” will be soon aired on the TV again, uncensored, as it should have been the first time it was shown. Let’s not be stopped by fear!